Get ready for a stunner as we’ve got a superb LG concept phone on our hands, the Synthesis, designed by Andrew Suenghyun Kim. It was created for the LG design competition from April and draws its inspiration from nature, photosynthesis to be more precise. Before you start making “birds and bees” jokes, you should know that there’s no pollenization going on around LG Synthesis, but it does charge its Bluetooth headset with the aid of solar panels. 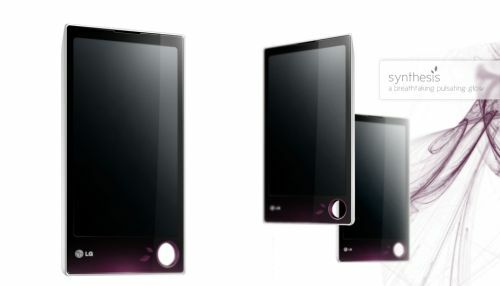 Those are placed at the front of the handset, that features a scratch resistant glass display, a 3.5 inch AMOLED touch beauty. Of course, touch input is there on the specs list, accompanied by a 5 megapixel camera and a hidden front 1.3 megapixel camera for video conferencing. LG Synthesis’ memory is also a stunner: 16GB SSD Solid State Drive, or 32GB if you like to store discographies on your handset. Back to the nature inspiration, the device shows floating bubbles, as if the handset were alive, while the charging/speaker dock resembles a tree branch. 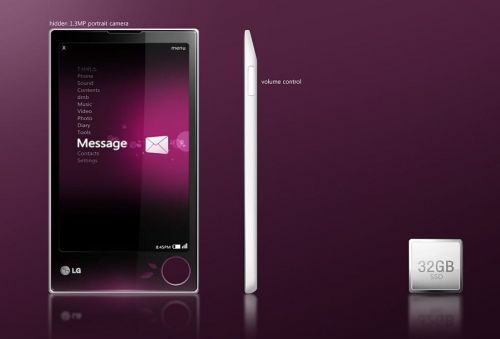 Let’s hope we’ll see this fashion phone turning into reality, courtesy of the LG brains.